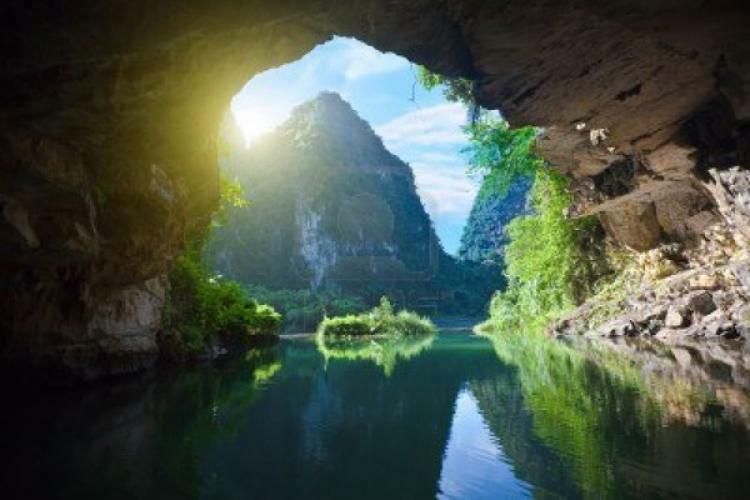 OVERVIEW: Viet Nam's Phong Nha-Ke Bang national park has been recognised as a world natural heritage site by the United Nations Educational, Scientific and Cultural Organisation (UNESCO) at its 27th general assembly session being held in Paris from June 30-July 5. 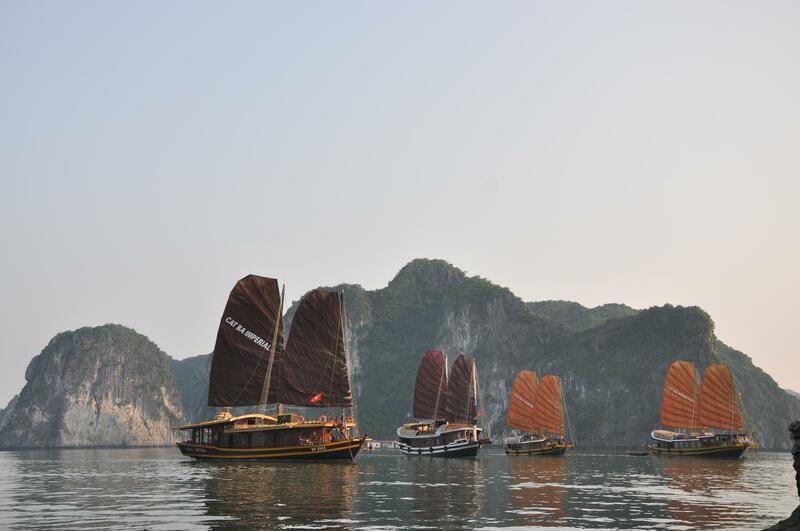 At the session, delegates from o..
OVERVIEW: Our L’Amour Junk is designed in the style of the traditional sailing boats and was the first small deluxe one-cabin junk in Halong Bay. 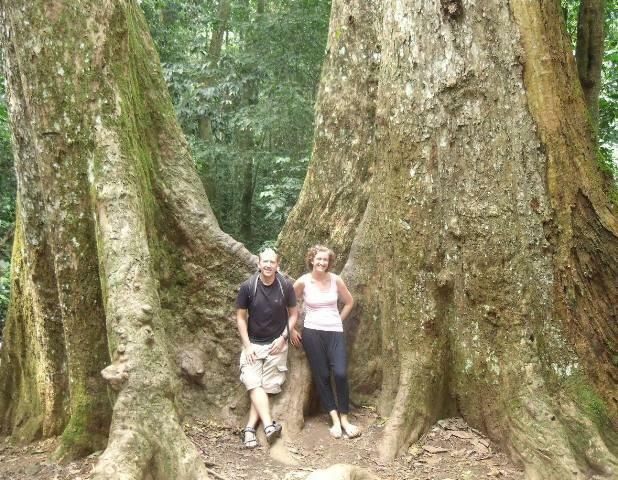 It is an ideal option for a couple on a romantic trip. 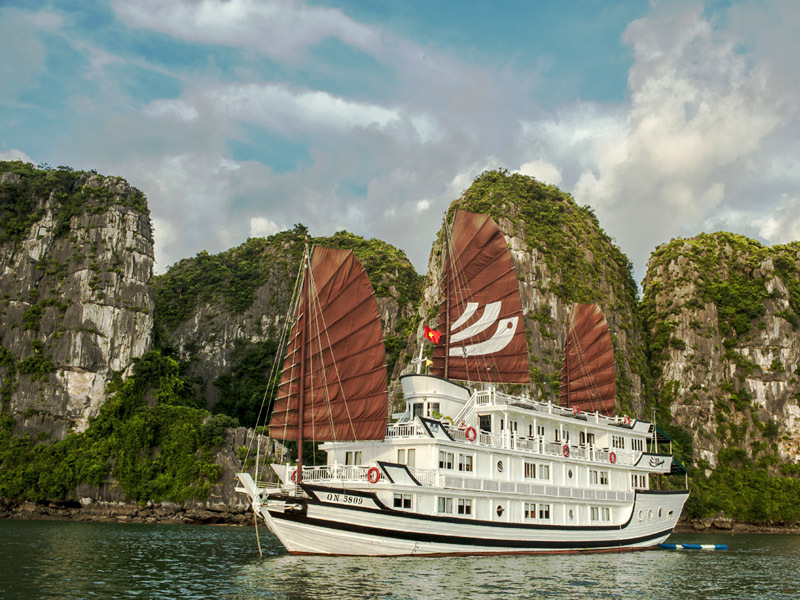 She is designed with sophistication and a meticulous attention to every single detail, for ou..
OVERVIEW The Prince Junk was designed after the traditional fishing boats of Halong Bay, only on a slightly smaller scale with either 2 or 4 cabins. In our fleet, we have 4 Prince Junks: Prince I has 2 cabins, perfectly suitable for a family including parents and children enjoying the mag..
OVERVIEW Amira Cruises was established in June, 2016. With the motto of comfort and convenience for tourists while resort on the Bay, we have designed the modern-style rooms, luxurious with the best facilities for tourists. 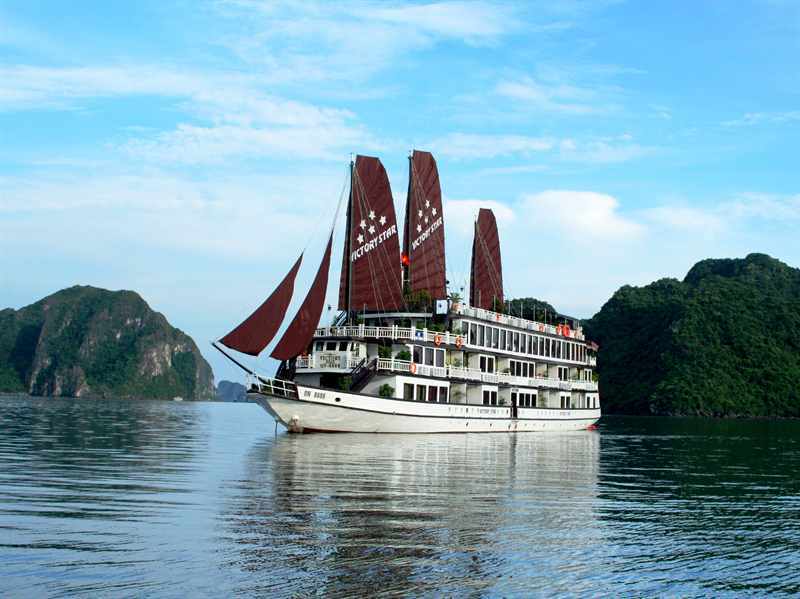 Amira Cruises launched to meet the travel needs of the family, who has..
OVERVIEW Bhaya Halong cruise puts you front and centre in the magnificent natural landscape of Halong Bay. 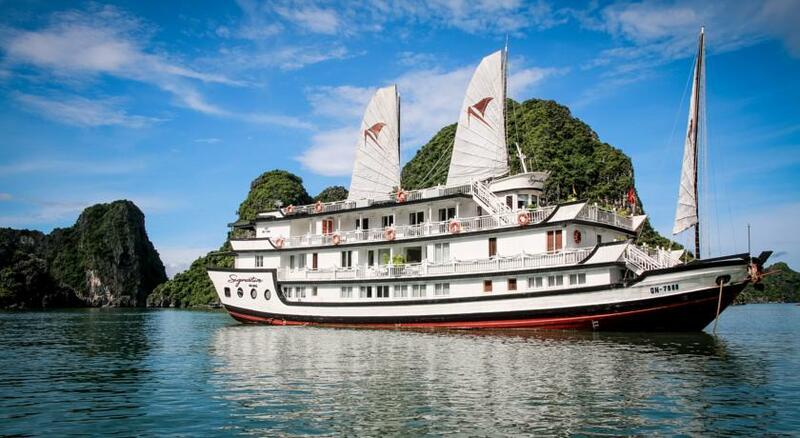 Step aboard and sail quietly among countless rugged islands, and sheer cliff faces topped by lush jungle. On board the Bhaya Classic, sit back and enjoy remarkable cuisine while taking in un..
OVERVIEW Cat Ba Sailing Junk is for people who : - Are looking for a cruise off the beaten tracks in Halong, Bai Tu Long and Lan Ha bays - Want a charming private junk which offers i..
Overview: Indulge yourself with a once-in-a-lifetime experience in Vietnam by embarking on our Emperor Cruises and cruising around Bai Tu Long Bay, an alternative to the more touristy and crowded parts of Ha Long Bay. Venture off-the-beaten track, go kayaking and visit floating fish farms and vi..
OVERVIEW Our 4-star Flamingo Cruise has 3 floors with 14 cabins in total, in which there are 8 Deluxe cabins on the 1st floor and 6 other premium & suites cabins on the 2nd floor and its luxury restaurant & bar plus the sun-deck are on the top one. 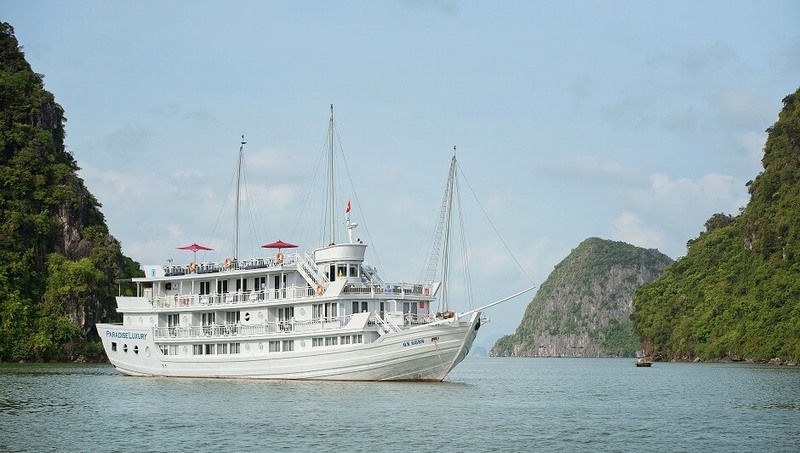 FULL ITINERARY 2-DAY HALONG CR..
OVERVIEW Built in 2013, Gray line Ha long is the newest Classic cruise of 113-years worldwide brand Gray Line. 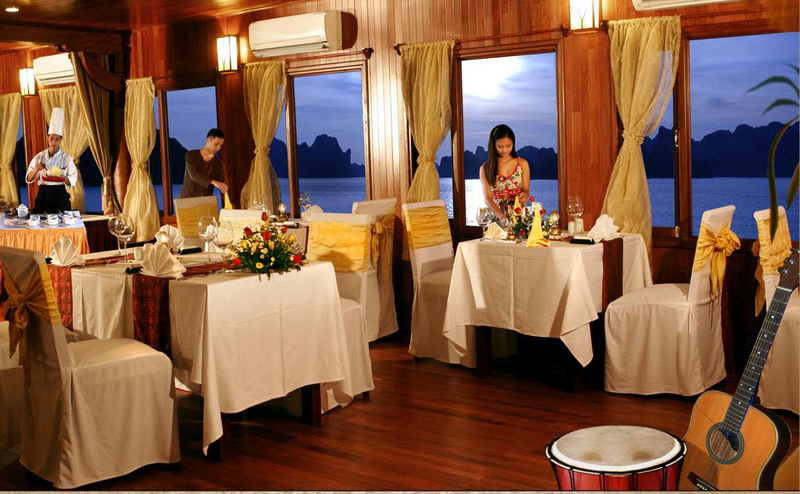 Spreading over 3 decks with 14 luxury cabins, it offers boutique interiors with oak-wooden wall. All rooms and bathrooms have large sea view. VIP cabin (Suites) has private terrace, Jacu..
1. HALONG BAY SIGHTSEEING FLIGHTS U$89 | HAI AU AVIATION Taking off from the Tuan Chau Island Marina, this 25-minute sightseeing flight takes in all the highlights of Ha Long Bay, with amazing views over the magnificent landscape of limestone pillars reaching up from the green waters. 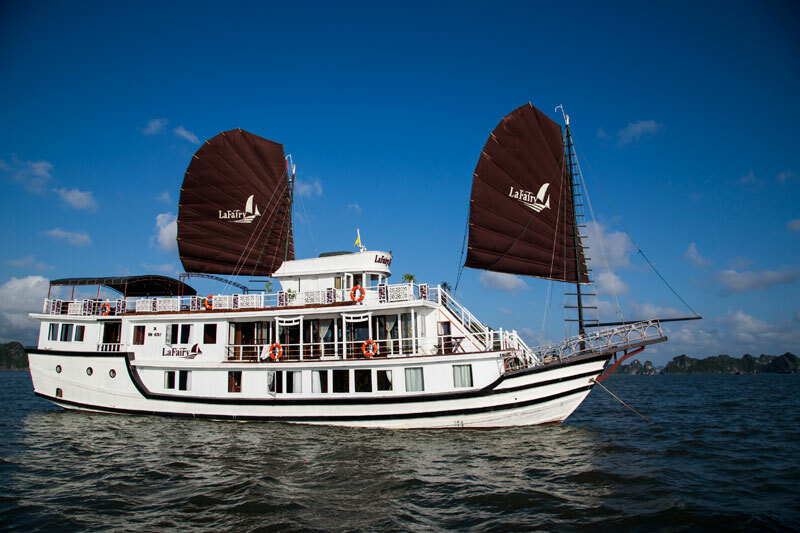 ..
OVERVIEW A LaFairy cruise will take you through Halong Bay’s natural wonders, and beyond into less traveled waters, all while you enjoy luxurious accommodations on one of our newly-built, traditionally-styled vessels. 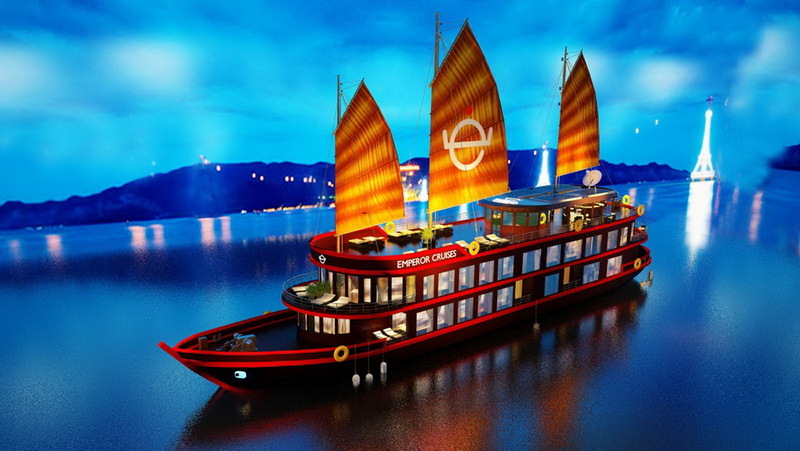 Our company name is inspired by one of the thousands of caves in Halong Bay – a..
OVERVIEW Le Cochinchine is a modern and tastefully designed river barge. 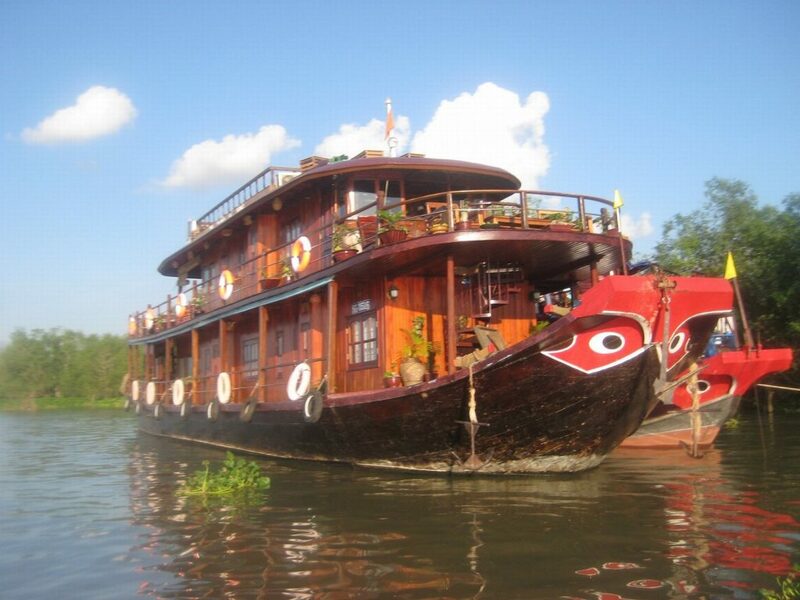 Built in traditional style, Le Cochinchine measures around 30 meters long from bow to stern and has two 420 HP engines, one in back up, making Le Cochinchine a very powerful and safe river vessel. ..
OVERVIEW Halong Bay, “the bay where the dragon descends into the sea’“, is a spectacular seascape in the Gulf of Tonkin. More than 2,000 islands, islets and limestone formations rise from the emerald waters, remarkably shaped by wind and waves. 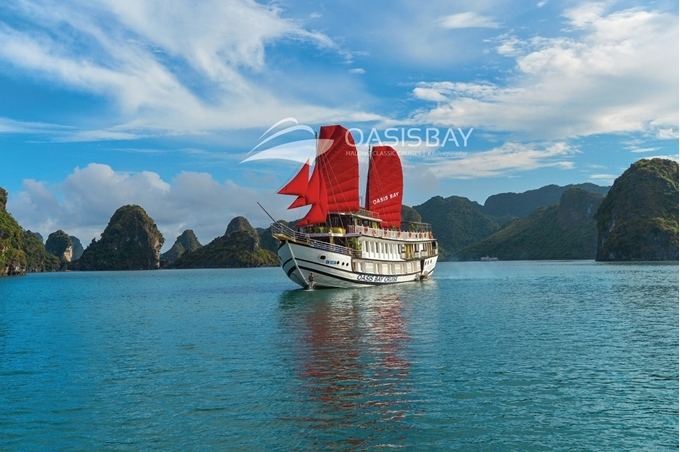 The best way to discover the natural beauty of..
OVERVIEW The Oasis Bay Cruise is your home while you cruise through Halong Bay. It will be an unforgettable experience with her exquisite luxury, intimate setting and unrivalled home from home service. 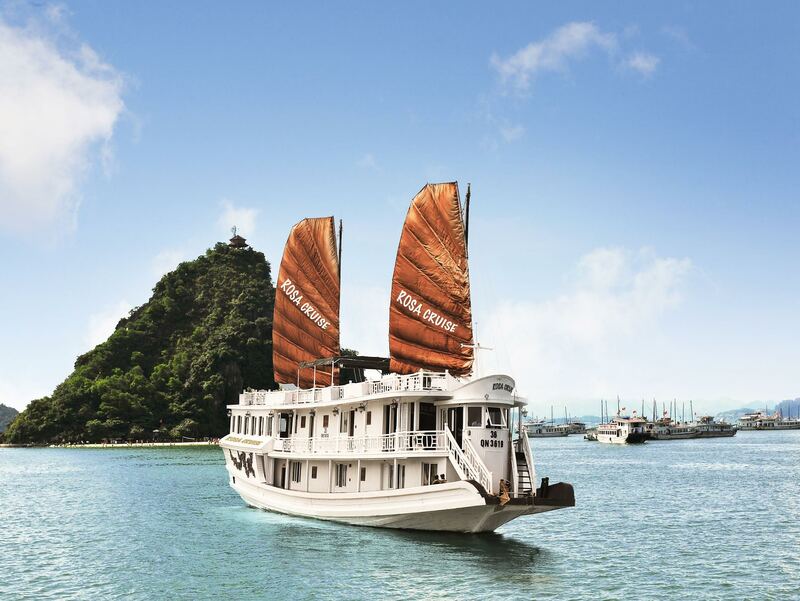 An amazing way to witness the serene, calm setting of Halong Bay’s exceptional ..
OVERVIEW Explore Halong Bay on Oriental Sails – a Halong cruise vessel featuring 18 deluxe cabins and one featuring 8 deluxe cabins furnished in classic Vietnamese style. 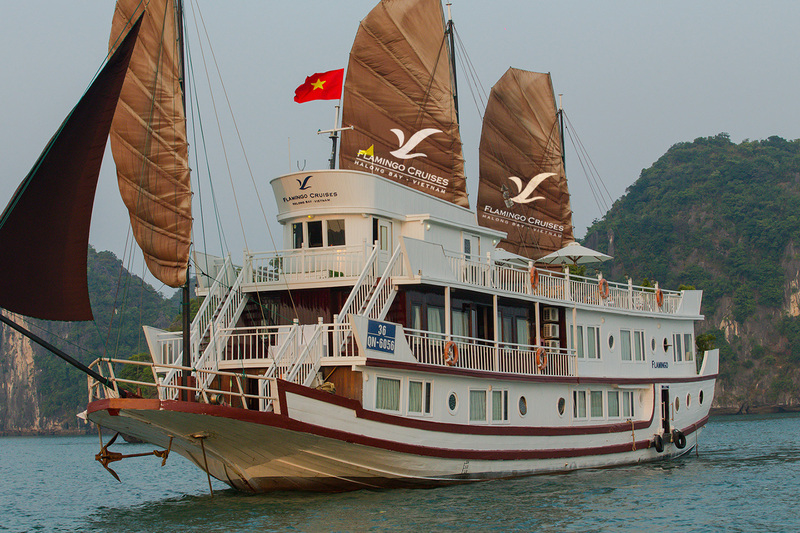 This 2 days & 3 days cruise into the legendary Halong Bay and a part of Bai Tu Long Bay includes various activities that w..
OVERVIEW Paloma Cruise - The recommended Halong Bay Junk Cruise is a brand new Halong wooden junk crewed by a professional, loyal and dedicated team. Spread over 4 decks she has 16 en-suite fully equipped luxury cabins, a bar with soft seating and plasma TV, gourmet restaurant, outside dinin..
OVERVIEW Paradise were built according to the traditional Vietnam cruise design and present a lavish outfit blending in subtle harmony with the natural environment of Halong Bay - Vietnam. 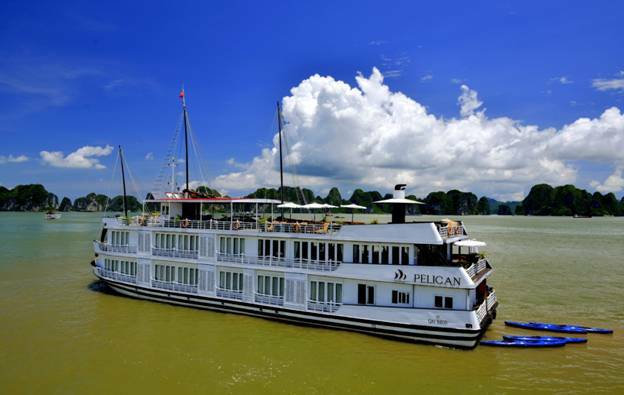 The 04 Paradise Luxury cruises offer 68 luxurious cabins and suites as well as an exciting array of Halong a..
OVERVIEW With 3 similar Pelican Luxury Cruises, each of 22 cabins, will provide a 5-stars experience. 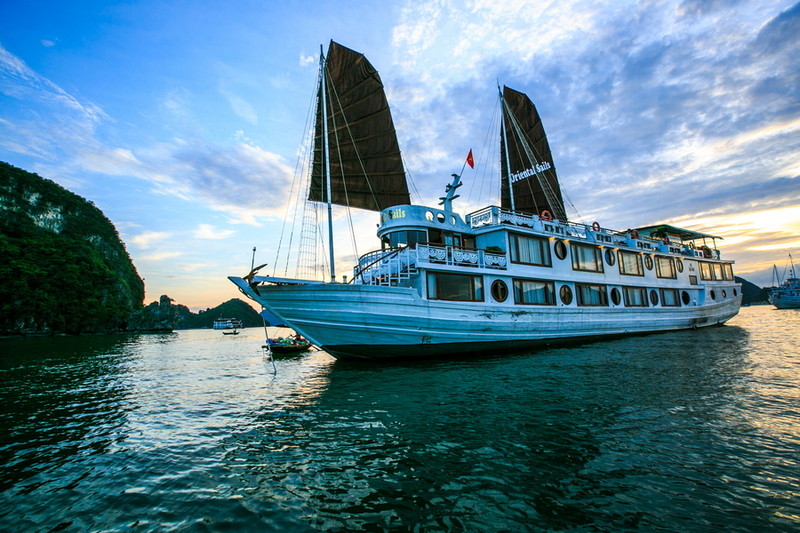 The first Pelican boat launched in early 2012 and two others operated 2013 Each of 22 cabins accommodating a maximum 150 passengers for Halong Bay Cruises or Event. 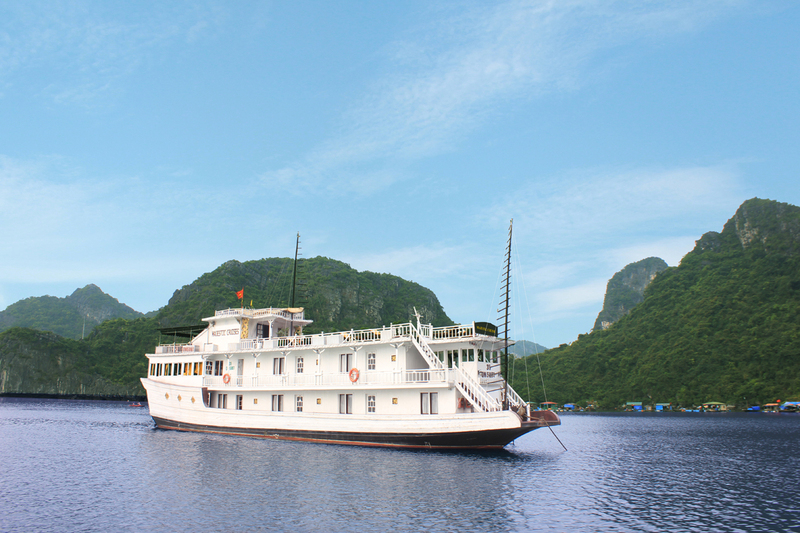 02 Royal doub..
OVERVIEW The Rosa Cruise proudly offers the new premier cruise experiences in Halong Bay which combines the most modern and greatest comfort. Wishing to provide customers the best culinary and premium cruise experiences. 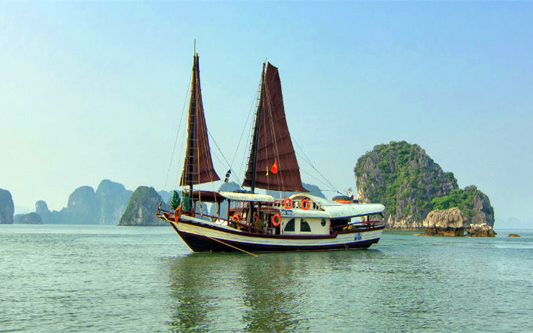 We are proud to bring visitors the most exciting experiences in Halong Bay, ..
OVERVIEW Vietnam's northern mountain ranges are breathtakingly beautiful, rich in cultural diversity and great fun to explore. 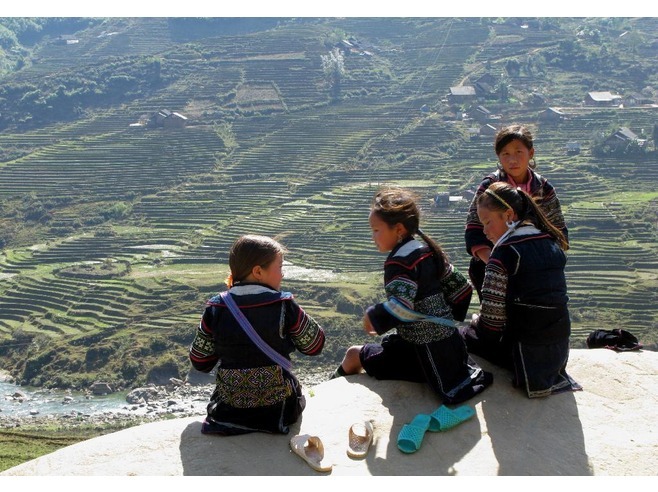 Sapa is the focal point for mountain travel in Vietnam, and is a riot of colour and atmosphere as people from the myriad ethnic minorities of the hills gather in the ma..
OVERVIEW Welcome to world famous Halong Bay, one of the Seven Natural Wonders of the World. Halong Bay is Vietnam’s most visited tourist attraction due to its popularity of being listed as a UNESCO World Heritage Site. 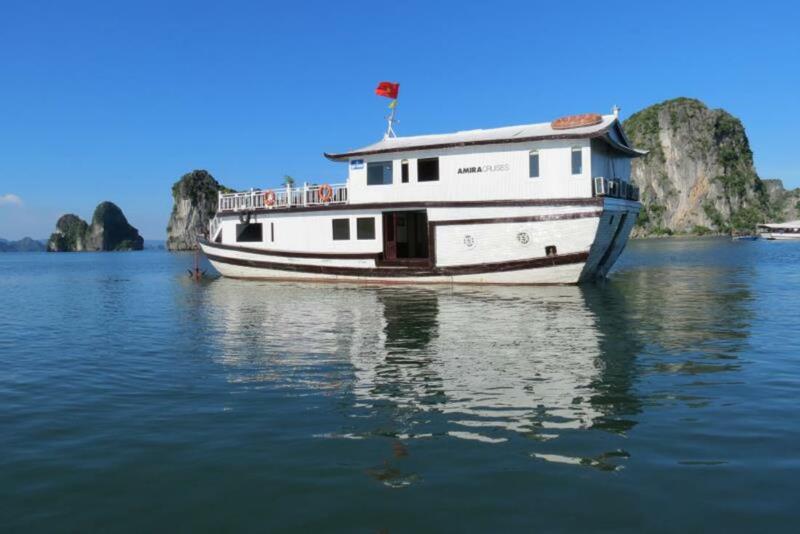 Explore the wonders of the Gulf of Tonkin on a Halong bay 2 day 1 night&n..
OVERVIEW Victory Star 24 Cabins The youngest Victory Star presents the same features and facilities as his Brother ship Victory Star 32 cabins. 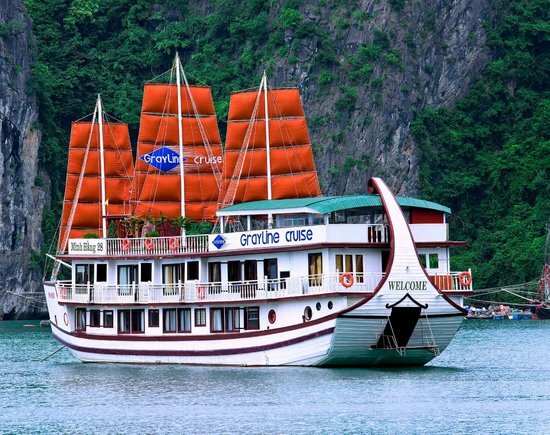 This cruise is a nice and new boat and provide all the best services of halong cruises 04 Floors 2 bedrooms area 1 dinning room, resta..
OVERVIEW Being the oldest national park of Vietnam, Cuc Phuong has a rich flora and fauna system in a thick tropical rain forest which offers great chances for adventure tours as well as nature study. 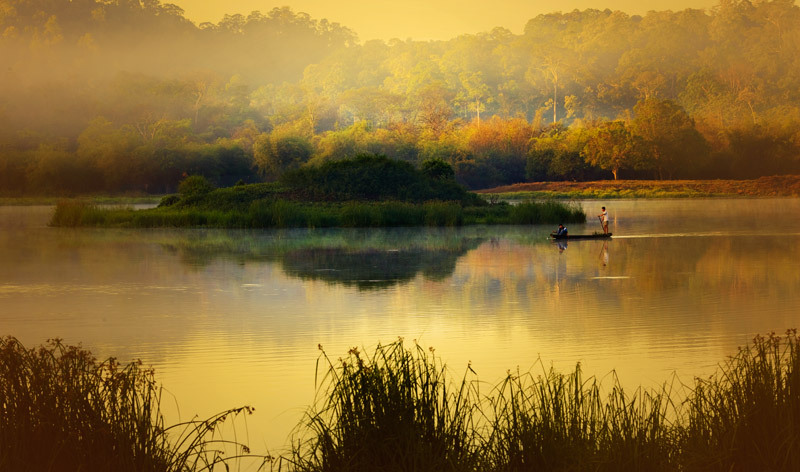 Taking a boat trip in Trangan eco-tourism area to relax ..